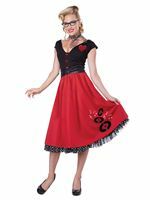 Rock and Doo Wop Around the Clock in our 1950s Adult Poodle Dress Costume! 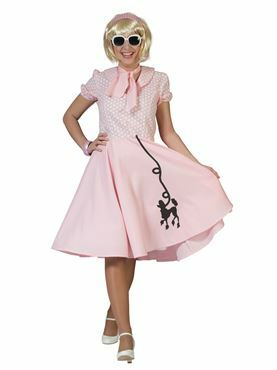 The Nifty 50s Costume comes complete with the All in One Pink Dress with the Polka Dot Printed Shirt Top and Black Poodle Print on the Skirt. 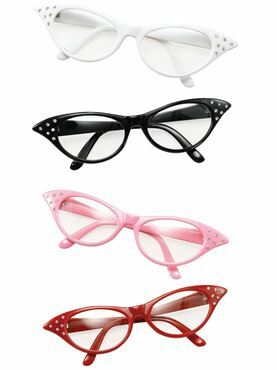 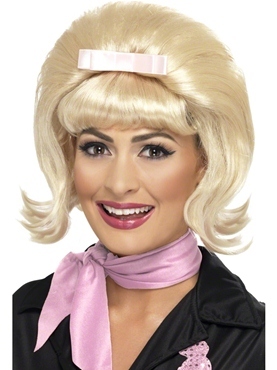 Completing the Look is the Matching Pink Neck Scarf.